Sunday doesn’t have to always be a day for resting a relaxing. In fact, many people like to get a jump start on the week and get a workout in on a Sunday. I have ever had some of the best workouts on a Sunday. I think it is because you don’t feel rushed to get it over with, leaving you plenty of time to properly warm-up and cool down. With a workout like the one below, I like to warm-up the body by doing about 5-10 minutes of walking, followed by a few repetitions of each exercise. This gives me a chance to get familiar with the exercise moves and the way in which I want to do them – in case I need to add in any modifications. Make sure you start a timer and keep working your way through the list until 25 minutes is up. See how many rounds you can do. Challenge a friend to see who can get through the most rounds. 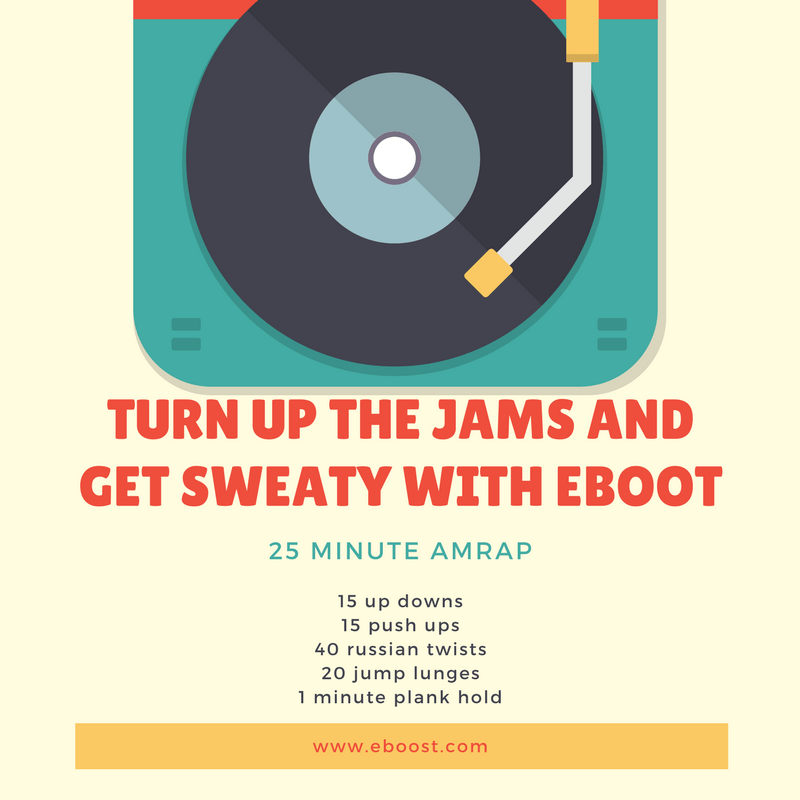 And for this workout, I definitely suggest jammin’ to some classic rock to keep you going strong. How About A Sunday Funday RUNday?